I finish watching the drama Gundam Seed and Destiny and it very good drama.I never boring when I see this drama more than one times.. 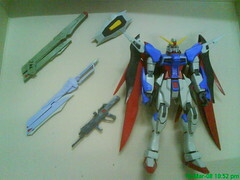 I also wan buy this model, this model called Destiny rite?? ?How much the cost? ?